This old Dutch product is for true cheese connoisseurs. 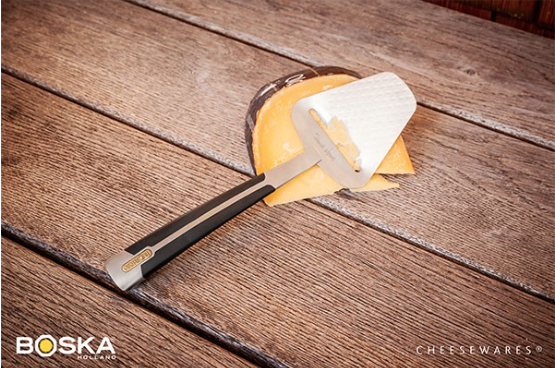 The Boska Hervé Cheese Slicer is a handmade and razor sharp cheese slicer made by cheese aficionado Hervé Mons. Tiny holes in the surface give it a non-stick layer. That way, you'll only ever cut perfect slices. This cheese slicer is dishwasher-safe and has a lifetime warranty. 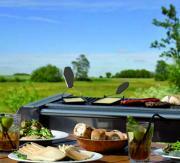 It makes a perfect gift for international friends who can appreciate good quality Dutch design! Freshly sliced cheese is like wine. The flavour only truly comes out when the cheese has made contact with oxygen. Boska aims to inspire people on the topic of cheese and is heaven for real cheese lovers. The Hervé Cheese Slicer is for true connoisseurs. Boska teamed up with famous French cheese aficionado Hervé Mons to develop this fanciful yet practical piece of art. Perfect for sharing the true blue Dutch enjoyment of cheese. It makes a quality gift to get international friends and family excited about Dutch cheeses and Dutch design. Any real cheese lover will tell you that slicing cheese is an art form. The wrong slicer will ruffle a slice of cheese into an unusable piece of dairy. 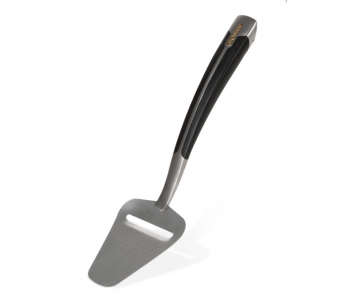 With Boska's Hervé Cheese Slicer, using different slicers for different cheese hardnesses is a a thing of the past. This old Dutch cheese slicer by Boska is handmade and possesses a blade with tiny perforations in a relief. Thanks to this, cheese will not stick to the blade and slicing cheese - without a lot of force - into perfect slices is made easy. 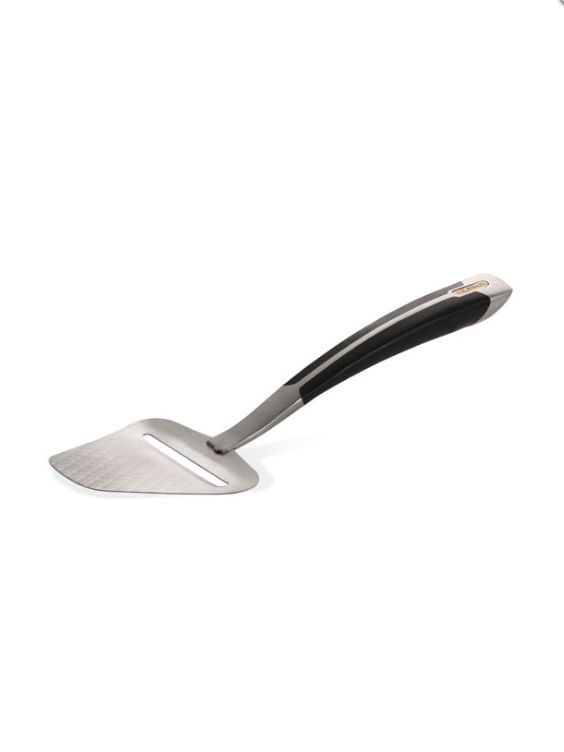 The Boska Hervé Cheese Slicer is one of a kind. By collaborating with world-famous cheese expert Hervé Mons, Boska has produced an aesthetically-pleasing but practical cheese slicer. 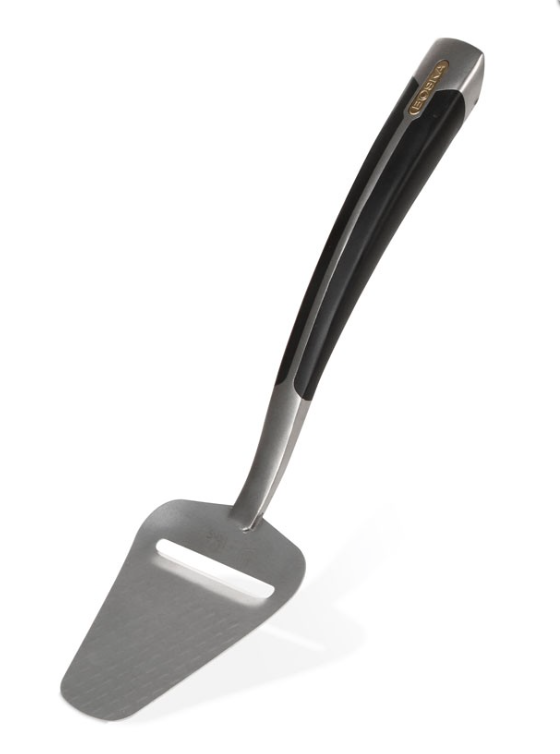 The handle on the Hervé Cheese Slicer by Boska has an innovative shape, giving the user more comfort and control. Slicing any manner of cheeses - from half hard to hard - into perfectly thin slices without giving your arms a work out is simple. Quite safe then. A world-class cheese slicers with a life-time warranty.